Our desire is to provide you with the most convenient ordering experience possible. We believe in giving our customers options; that is why you will find that we offer over 6 different methods to upload your art. Whether you want to use the direct from order link or our General Art Upload Link, the choice is yours. You pick what works best for you and our art match specialist will get it lined up with your job. Upload your art as you finish your web order. conclusion of your web order. 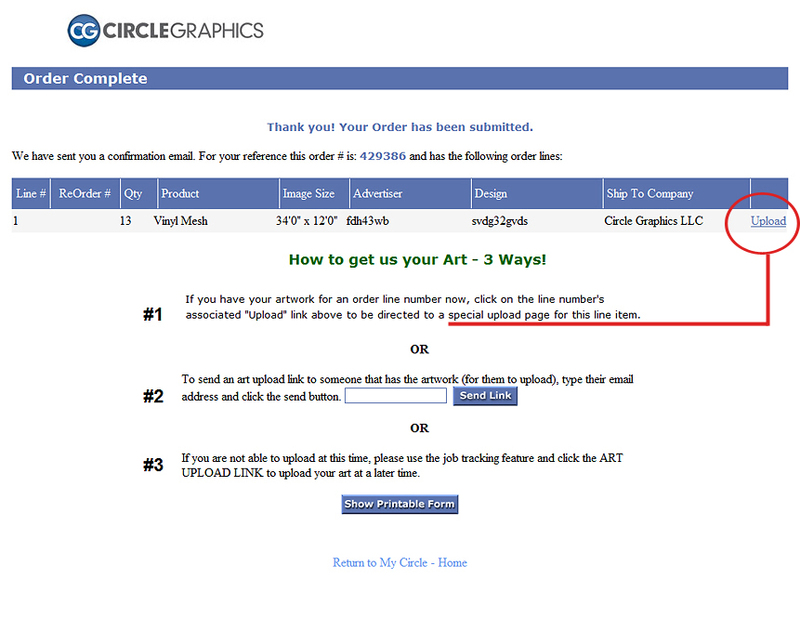 Wait for your order confirmation email and use the link on that email to upload your art directly to your order folder. 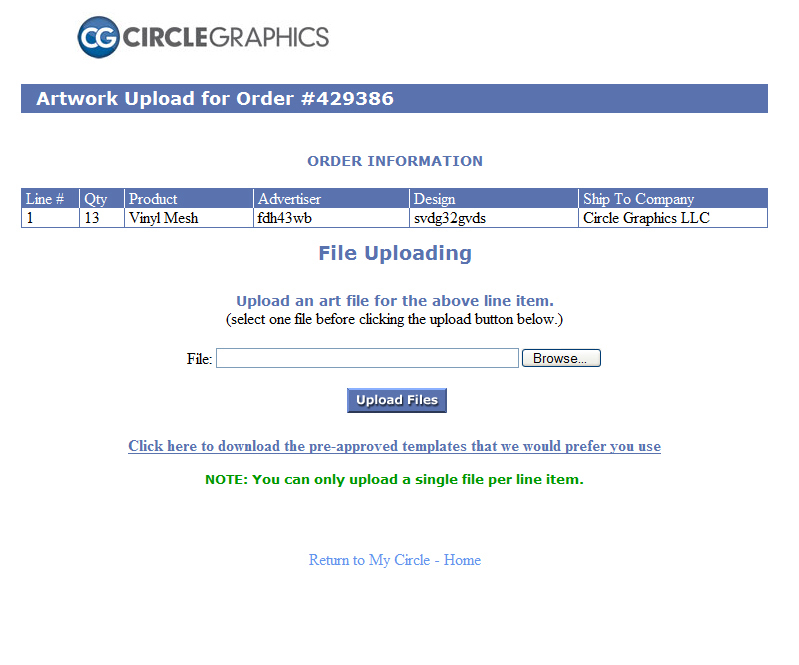 See an image of what the order confirmation art upload link looks like. Upload your artwork to our General Art Upload Link! Our art match specialist will match it right up to your order.